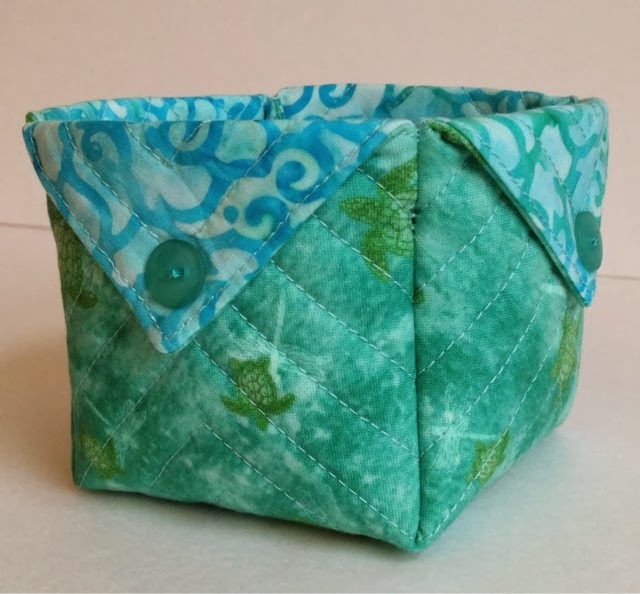 This little fabric box is the same as my previous ones but with fabric that matches the wall hanging in my powder room on the main floor. I'm going to use it to hold my lip gloss and other miscellaneous items which end up there. I love the turtles & dragonflies!! !